Castlehaven Community Association have planted the very first Helping Britain Blossom orchard in London’s Camden Town. In December we planted our second largest orchard in Alexandra Palace Park, read more about this exciting new orchard over at Horticulture Week. The trees are dormant and the people are lively. At the weekend we planted pears and apples in three Islintgon Play Association adventure playgrounds with local kids. 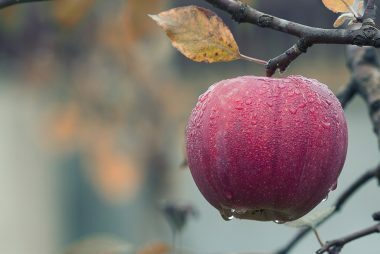 The Orchard Project has worked in partnership with Bethlem Royal Hospital in south London for several years to restore the traditional orchard within the hospital grounds. On National Apple Day, together with HEINEKEN and The Bulmer Foundation, we officially launched the new community orchard programme, Helping Britain Blossom. We are excited and honored to be planting a significant orchard in Mandeville Place to celebrate the achievements of our athletes in the Paralympic Games 2012. We are delighted to welcome Stephanie and Erin who will be seeking lost and hidden orchards. On the 7th and 8th of October we had lots of fun juicing and admiring giant vegetables at the Harvest Festival Show in the beautiful agricultural hall in Westminster.